“Think about the shame that each of us will carry when our children and grandchildren look back and realize that we had the means of stopping this devastation, but simply lacked the political will to do so,” said actor, environmentalist and United Nations Messenger of Peace Leonardo DiCaprio in his Earth Day 2016 speech on climate change at the UN. You can watch it above. His 2016 climate change film, “Before the Flood,” which already may be the most-watched documentary in history, screens at 7 p.m. tonight (Tuesday, Jan. 31) at Ohio State. Free admission. Everyone’s welcome. There’s free pizza, too, beforehand. “Before the Flood” — the 2016 climate change documentary featuring actor/environmentalist Leonardo DiCaprio — screens at 7 p.m. Tuesday, Jan. 31, in Ohio State’s 2017 Environmental Film Series. Some 60 million people have seen the film so far. Bryan Mark, an Ohio State geography professor and Ohio’s state climatologist, and Heather Taylor-Miesle, executive director of the Ohio Environmental Council, will lead a discussion after the screening. Location, series schedule. Ohio State’s Environmental Humanities program is hosting a screening of “Anthropocene: The Movie” and a Q-and-A with director Steve Bradshaw at the Gateway Film Center in Columbus on Nov. 2 at 7 p.m. Admission is free and open to the public. More information can be found here. Watch the trailer above. 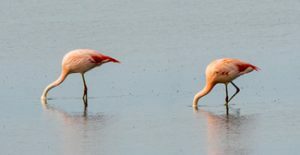 Mahbuba Nasreen of the University of Dhaka, Bangladesh, and Mizanur Rahman, project director of the Bangladesh Delta Plan, present “Climate Change, Resilience and Adaptation in Bangladesh” from 3:30 to 5 p.m. today (Oct. 25) on Ohio State’s campus in Columbus. Free and open to the public. Hosted by the university’s Mershon Center for International Security Studies. Co-sponsors include several programs connected to CFAES. Learn more here. Register here. Ted Turner, born in Ohio, shares his thoughts on ways to help people and the planet in the video above. He’s the subject of a talk at Ohio State on Oct. 25. 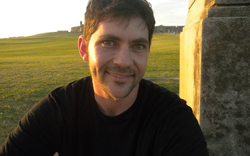 Speaking will be Todd Wilkinson, author of Last Stand: Ted Turner’s Quest to Save a Troubled Planet. Wilkinson will speak, too, the evening before, together with photographer Thomas Mangelsen, about an equally large personality, Grizzly 399. Tickets to both events are free, but space is limited. Read more and find a link to get tickets here. Climate change deniers should “open their eyes,” says the headline of a story by WOSU’s Thomas Bradley on yesterday’s visit to the Ohio State campus by Prince Albert of Monaco. Prince Albert II of Monaco discusses sustainable strategies for the oceans in the video above. It’s from the 2014 World Ocean Summit. He speaks at Ohio State next week. 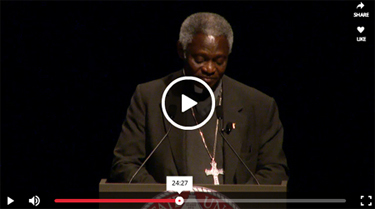 Watch WOSU Public Media’s video of Cardinal Turkson’s Nov. 2 talk at Ohio State by clicking the image. CFAES Dean Bruce McPheron speaks starting at 1:59, Ohio State President Michael V. Drake at 6:50, Cardinal Turkson at 10:02. Their “fireside chat” starts around 35:40. Cardinal Peter Turkson’s recent visit to Ohio State was covered by, among others, the National Catholic Reporter, the Columbus Dispatch and Ohio State’s student newspaper, the Lantern.